I've been following a few threads on molding silicone, and stumbled across a DIY product called Oogoo. It is essentially a mix of GE Silicone I and corn starch. The corn starch kicks off the curing of the silicone, and silicone pieces of any thickness will cure in hours, instead of days or weeks. 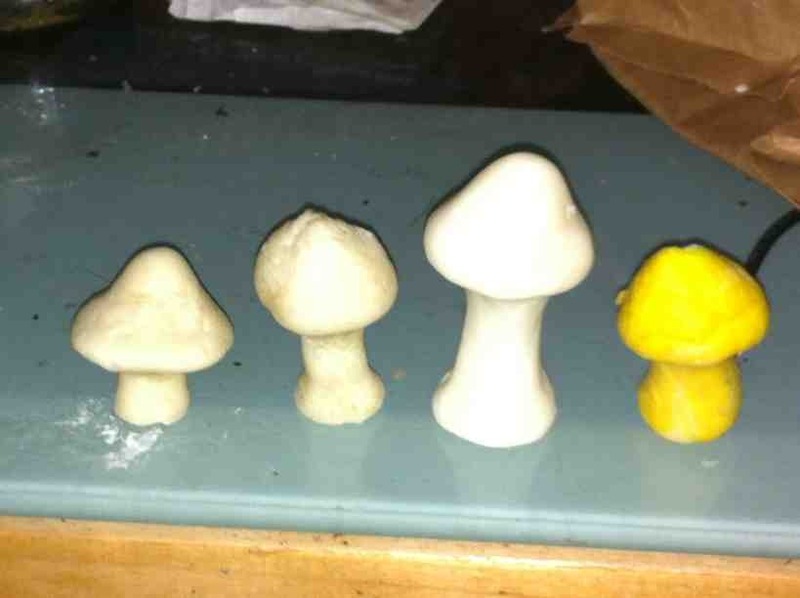 Most of the reports I have read say that the corn starch does not significantly change the properties of the cured silicone, but there is a stage in its cure where it becomes easily hand-moldable, like clay. My last silicone background took MONTHS to completely finish curing, so this looks promising. I wonder how it will stack up as a background material against, say Titebond III? I have yet to try titebond III myself. In any case, for those who prefer silicone, this may be good news. Comments? Does anyone have experience with this stuff? Last edited by Raptor22; 03-20-2013 at 07:09 PM. Re: Anyone here tried Oogoo? Looks fascinating...can hardly wait to try it....have tried all the other ones...some I love, some I hate.... It should be non toxic as well I'd think.. Personally I wouldnt use silicone that cures faster. It will skin over by the time you can apply peat/coco and will grab even less then it usually does. Unless you physically mix the selected substrate into the silicone prior to applying it on the background, I think the results after a few months would be dissappointing. I pre-mixed silicone and peat on my last tank to test it out and it worked well. The only downside to this is you really need to press it hard onto the bakground, and it tends to look really smooth from smearing it into the details. The good thing though is that the peat is encased in silicone and wont be going anywhere. I think Dendro Dave has the right idea about using the product structurally...could probably be used as a good "stream" to direct water from a pump to exactly where you'd want it to go...easier to form I'd think. Ya that is my thinking, basically using it like that zoomed excavator clay type stuff to mold caves, tunnels, ledges, waterfalls, make fake rocks and you can paint silicone of course. You could probably press some milled sphagnum or something into, or put a layer of sticky silicone over your oogoo structure, then press in your substrate material like you normally would...just using the oogoo as the structural component. See last line of above post to easily get around substrate not sticking. years ago a forum called frognet which some of you are to young to remember they had a recipe for silicone soil. was sort of like the oogoo but you used "soil" instead of the cornstarch that they mention on the instructable site. I made it years ago. they use to make stream beds with it. I'm definitely going to give this a try on my next build. I was envisioning it would be mixed with substrate at the same time that the corn starch is added. You can use any base that you want. Personally I prefer to use some type of gravel base for the tank; this provides a great deal of filtration. Gravel does a better job than does a false bottom system because the gravel system provides a great deal more surface area for the good bacteria to grow thus providing more biological filtration. This type of filtration pulls out toxic wastes like nitrates. Thus you have to do a lot less maintenance, i.e. Water changes, less pruning, (plants grow a bit slower because there is not as much fertilizer around), etc. As for the types of gravel to use, I have two tanks with regular gravel (heavy but cheap), and one tank with cat litter. I use the cheapest cat litter available, one that is all clay. Avoid anything with deodorizers, clumping agents, etc., bioballs (light but expensive), LECA (also light but expensive), one interesting filtration *product being used in the aquarium trade, is the plastic wadding used in loading shot gun shells. (cheap and light). I haven’t tried this last one. When I use something other than gravel I put gravel at every glass surface for the natural look. I also like the system I saw on Ken Uy ‘s web site, EQUIPMENT-Water System which drilled the tank and put a second very small ancillary tank behind the tank, connected by bulk heads, one going out of the tank, one coming back in. This allows you to put the pump outside the tank where you can get to it for maintenance. You could also put an overflow drain from the second tank which keeps your water level consistent even when you are adding water from spraying, misting etc. It also makes water changes real easy. The ancillary tank is also where I would put a heater if I needed it. For the record, I have never had a tank heater in any of my tanks, but if you have up/ down thermostats that drop temperatures into the 50s or something, I would consider it. Many others use a false bottom system. Ken’s site and many others can show this set up. and there are other articles if you Google silicone soil...whatever did we do before "google?? Am curious whether anyone out there has used this method and how successful/not so successful it was...surprised that no one else has added on to the thread..
the silicone soil is interesting...ill probably end up attempting it on my background im currently working on....I will treat it like i would with "mud" for drywall(cant think of actual name)...ill just poor silicone in a metal container and mix peat/coco fiber and spackle it over the background...sounds easy yet messy enough....oogoo for those not willing to google is:It turns out that corn starch is highly absorbent and when sitting around in an open box it will absorb moisture from the air. It is an extremely fine powder that diffuses evenly in mixtures. By adding the right amount of corn starch, the sticky silicone is somewhat stiffened and very quickly starts to set up from the inside out. While it still sets up faster on the surface than in the middle, the whole thing will set up in five minutes to 2 hours no matter what the thickness. The actual curing time depends on the temperature, the humidity, the amount of corn starch added, and the speed at which it was mixed. So that's it. Oogoo is corn starch and clear silicone caulk mixed together and then molded by hand or by forms to create just about anything you can imagine that needs to be adhesive initially and solid yet flexible when cured. Last edited by stephen-mcginn; 04-03-2013 at 12:09 AM. So first attempt at making some oogoo, more experiments to come... Tried a few different small batches and it seems pretty cool. Not the easiest substance to work with but I think if you play with the mix you could mold it however you want. I tried to eyeball a 50/50 mix and it was workable by hand in about ten minutes. Thanks for posting your experiences. Would be interested in anything else you try. I've been using it for a few years - wish I'd seen this thread when it was posted - not specifically for vivariums, but mobile phones etc. I don't have a good understanding of chemistry, but after an experience of using a spoon made of cornstarch for 3.5 years until it started biodegrading, I thought pure talc may be better for vivs, so I asked every pharmacy until I found one that had it w/o fragrance and crap. What do others think of 100% talc? Or baking soda? Definately for attaching coco husk to foam backgrounds, my experience is Oogoo cures too fast! I'm keeping it in mind for other viv projects. Like when I've just finished a whole paludarium, which was leak-free, and now there is a small leak, but I really don't want to take everything apart again. Silicone, by itself, won't adhere to silicone, but oogoo should adhere to it. Ok, I applied the Oogoo w/ pure talc instead of cornstarch repair. Fingers crossed . Last edited by Nat; 03-27-2015 at 12:21 AM. Interesting not sure it would be strong enough and if mixed in such small quantities would take just as long for a large build as cure times for silicone on its own, worth a shot though! Wusserton, whose idea for application of it do you refer to? For herp people needing to appy just a thin layer, it is pointless, and even harmful. Otherwise, using it foundationally, it is good stuff. Strong enough it is, as long as it is mixed thoroughly(Oogoo mixer on the cheap (avoid messy hands ) : Extract the Oogoo). That is my experience. Just in case, better to err on the side of caution, and use too little cornstarch/talc/sodium bicarbonate mixed with the silicone. 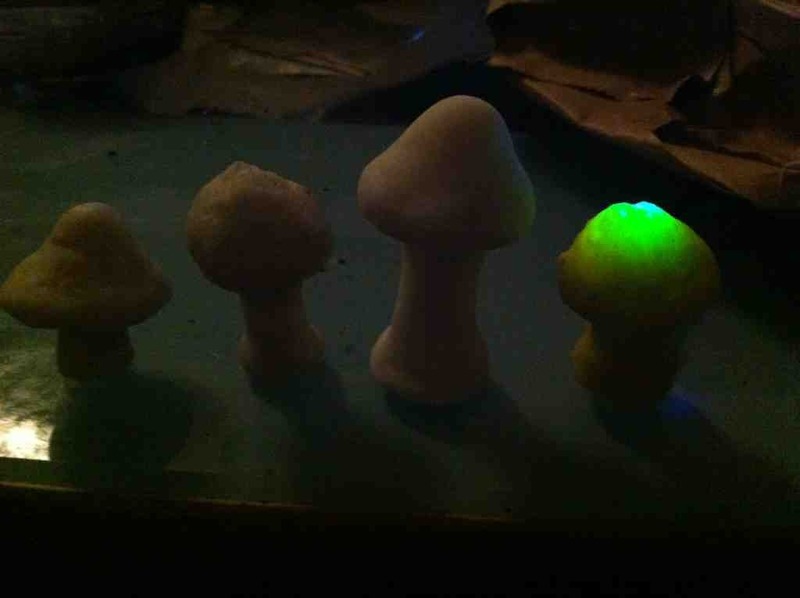 For most of our uses in the hobby(besides the member above w/ the nice toadstools) we probably won't need to actually make perfect shapes like with clay or playdough, and whatever amount of absorbtion powder is used will still make it dry more quickly and uniformly than plain silicone. I am interested in trying the silicone/dirt trick soon. With this there is less need for structural strenght or watertightness, I think. And another use I thought of: How do you keep on those long black plastic strips which often go along the edge of the paludarium to protect it? They don't stick very well to pure silicone, esp. when you are cleaning out the inside of an old viv. What I'm about to do is lighly sand the inside of the plastic strips, and use silicone mixed with talc for better adhision.